Girl Scouts was originally founded in 1912 by Juliette Gordon Low, and continues to provide exciting opportunities for girls world-wide. Through Girl Scouts, young ladies learn important skills including team-building, co-operation, concern for the environment, and much more. Through building self-esteem and encouraging awareness, community service, and leadership, this organization helps promote the social welfare of girls nation-wide. These days Girl Scouts includes young women from the age of 6 right through to college level. Girl Scouts participate in community service programs and earn badges and awards through leadership and learning. Girl Scouts go on to be government officials, and leaders in technology, education, law enforcement, and sports. Girl Scout Alumnae include the president of Colgate Palmolive, Executive Director of Unicef, several astronauts, and such well-known personalities as Barbara Walters, Star Jones, Natalie Merchant, Sheryl Crow, Susan Lucci, Martha Stewart, Dionne Warwick, and Hillary Rodham Clinton. As society continues to encourage girls to recognize their value and unique energy, supporting Girl Scouts is also supporting some of the women who will lead the world. Fundraising with Girl Scouts allows the girls to use some of the very skills and values they are developing already, and gives them even more opportunity to explore community service, leadership, and organization. Here is the best time to look for fundraising opportunities that can be combined with community service efforts such as park clean-ups, volunteer time spent in nursing homes, and chances to help improve literacy in the community. You can also leverage the visibility of the Girl Scouts organization to help remind businesses how their support will be recognized both locally and on a national level. Ask for sponsorships to clean up community areas such as parks and gardens in the city. You can plant trees or flowers, rake leaves, or clean up garbage as needed. Also consider asking for assistance to buy supplies and create decorations that can be hung from storefronts or lamp-posts during holiday seasons, fairs, and festivals. Girls can also investigate the local flora and fauna in their town and provide information to others in the community through brochures or posters. Fundraising may be possible by developing an environmental fact-sheet program wherein local businesses can sponsor Girl Scouts in exchange for advertising space in the fact-sheet. 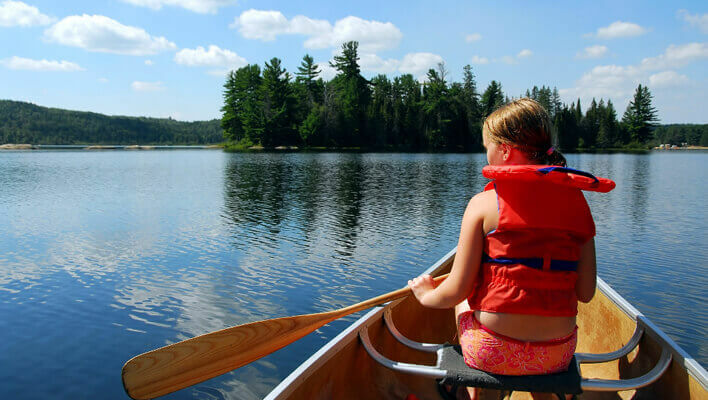 In doing so, girls can learn about the environment and earn merit badges for exploring nature as well as raising funds for the group. Why not combine fundraising efforts with Girl Scouts programs designed to increase health and fitness? With high energy group members, you can plan fun competitions and marathons, whether the girls run or have a skip-a-thon to raise money. You might consider hop-skotch-a-thons or set up obstacle courses with sponsorships or donations from local businesses and prizes for the winners. Volleyball competitions are another way to let girls have fun while raising money too. Career exploration is another important element of the Girl Scouts program, and offers a chance for young women to learn job skills while earning funds for the group. Why not ask local business to trade a donation for the help of one of the girls at their company. With a little extra time from the company and a hard-working young lady excited to see how the company works, you have a match made in Heaven. The company can put their name out there while getting a little extra help, especially during the busiest times for the office. While cookie sales are an important, eternal part of Girl Scouts, and we wouldn't suggest you avoid them, we would definitely encourage you to look for new, exciting methods to fundraise with Girl Scouts too. You need only consider some of the excellent programs and initiatives already associated with Girl Scout programs, and determine how they can be combined with fundraising for your group. Combine life-long learning and leadership from the girls with the chance to help out the entire group, and you have an excellent opportunity for fundraising. Let the girls take as much responsibility as is appropriate. That way you`ve not only raised money, you've given them one more chance to develop those skills that will serve them throughout their lives. Try to stay out of the way, and give the girls the chance to come up with their own ideas as well. You might be pleasantly surprised by the suggestions they have and their desire to take care of every fundraising detail!